Used car listings for sedans from Japanese brands received the most inquiries from potential buyers in the UAE last year, with the Toyota Camry, Toyota Corolla, Honda Accord and Nissan Altima leading the way, a report said. The Toyota Camry was identified as the most viewed car, recording over 1.18 million page views from users of the platform, added the 2018 motors report from dubizzle Motors, a leading used car marketplace in the UAE. The report highlights key trends and insights based on an analysis of over 210,000 used cars listed on the platform in the past year. The Nissan Patrol ranked second (1.15 million page views), followed by the Toyota Land Cruiser (1.11million), the Mercedes-Benz S-Class (996k) and the Mercedes-Benz E-Class (956k). These five models were also amongst the top 10 listed cars in the year. “In previous years, there has been a clear demand for affordable and reliable SUVs among used car seekers on dubizzle, however, when looking at the 2018 report, we can see that the demand is now more diverse. The top 5 cars with the highest number of page views include both SUVs and sedans with premium brands making an appearance, indicating a potentially increased interest in premium used cars,” said Amr ElGabry, general manager at dubizzle Motors. In terms of price distribution of used cars in the market, 61 per cent of the cars listed on dubizzle Motors last year were for less than Dh60,000 ($16,300), 20 per cent were between Dh60,000 – Dh119,999 and 8 per cent between Dh120,000 – Dh179,999. The remaining 11 per cent of cars listed were over Dh180,000 and included the Mercedes Benz G-Class, S-Class, and the Land Rover Range Rover. The Bugatti Chiron hypercar was the most expensive car listed throughout the year, priced at Dh14.9million. The report also delved into a comparison between listing price on dubizzle Motors and actual selling price, based on prices provided by private sellers upon successfully selling their cars and removing their listings, revealing a potential margin of negotiation up to 13.6 per cent. 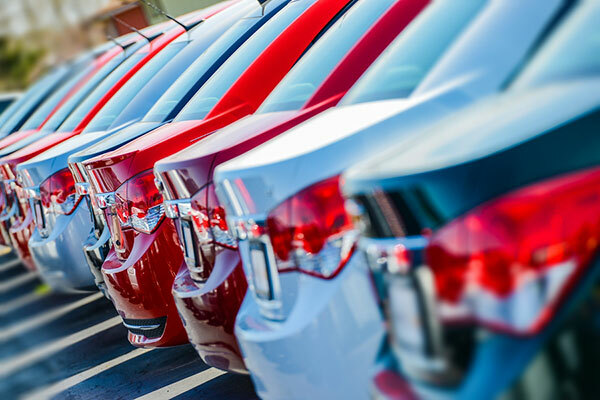 “The results of our latest poll identified that 68 per cent of respondents are interested in purchasing a car in 2019, and 65 per cent of those are likely to pay cash for a car,” ElGabry said.